PLAY! by Sephora Luxe 18 Vol 1 beauty box $25 is available now — $110 value! Here’s top 5 beauty deals today: new Amazon Prime Day beauty deals like 40% off Maybelline x Amazon bundles, Estee Lauder Surprise GWP, Target Beauty Box $5.25 shipped, Saks Fifth Avenue 5 luxe gifts and Ulta 9 deluxe size mascara with $50 purchase! Sephora and Sephora.ca (NEW) PLAY! by Sephora: Luxe ’18 Volume 1 $25 ($110.00 value). No app required. UPDATE 7/18: See full spoilers in my latest post here. This post may contain affiliate links. Read the full disclosure. This is such a dream offer at Amazon Prime Day Luxury Beauty! Do you want to snag 30% off Luxury beauty together with free Amazon Luxury Beauty Box?! Read on for the coupon code plus $5 off Amazon gift card deal and more! 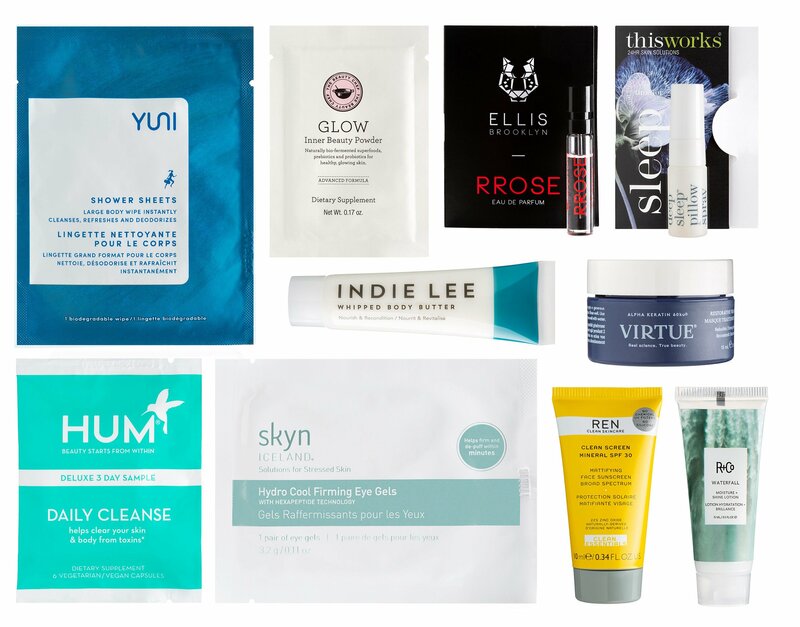 Amazon (NEW) Free Amazon Luxury Sample Box with select $50 luxury beauty purchase. This post may contain affiliate links. Read the full disclosure. Amazon’s big annual sales event, Prime Day, is starting soon. Here’s top Amazon Prime Day Competitors’ Deals from ebay, Walmart, Best Buy, FabFitFun, Tarte, Riley Rose, Urban Outfitter and many more. ebay (NEW) Their sale has already started, the highlight is more than 90 $119 deals (cost of a Prime membership) on everything from Apple watch, Fitbit, Shark Vacuum, Philips air fry, luggage to engagement rings. This post may contain affiliate links. Read the full disclosure. These are the BEST Amazon Prime Day Deals you can get right now and who usually matches Amazon prices? Are you ready for Amazon Prime Day shopping? There are over 1M deals this year. Here’s the top 9 Amazon Prime Day coupons and deals that are available now. Plus, I’ll list who usually matches Amazon prices? Amazon.com, Amazon.ca and Amazon UK — Amazon Prime Day 2018: start July 16 at 3PM ET- see countdown deals here. (NEW) Get $5 off when you spend $20 or more on Books use code PRIMEBOOK18, ends 7/17. Valid for Prime Members only. This post may contain affiliate links. Read the full disclosure. There’s a nice 7pc Lancome GWP at Dillard’s and so many Amazon prime day countdown deals available NOW including spend $60, save $20 on Beauty. Plus, new beauty gift with purchase offers from Bloomingdales, Cult Beauty, Bluemercury, Kohl’s, Urban Outfitter and more. If you don’t have Nordstrom CC to shop Nordstrom Anniversary Sale early access (like me), checkout my favorite beauty sale today at Beauty Bay!! Dillard’s (NEW) GIFT 1: For a limited time, receive a free 7-piece gift with any $35 Lancome purchase at Dillard’s worth up to $118. This post may contain affiliate links. Read the full disclosure. Seven days away to Amazon Prime Day 2018 on July 16 – exclusively to Prime Members! Here’s how to share Prime member with Amazon Household. Plus, get a free June beauty box from LoveLula and more. Amazon (NEW) Share Amazon Prime Benefits and digital contents at no cost using Amazon Household – add your family members here. No additional cost. This post may contain affiliate links. Read the full disclosure. How Amazon Prime members can get a ton of samples for practically free and my five Amazon sample boxes! There are two ways for Amazon Prime Members to get free samples 1) Amazon Prime Sample and 2) Amazon Sample Box. Let me begin with my favorite – Amazon Sample Box. Amazon – Amazon Prime members can buy a prime exclusive sample box, then Amazon gives you an equal credit for a future purchase. They are filled with things like cosmetics or makeup items, sun care items, beauty supplies, coffee and tea, snack, dog treats and more. Currently there are 12 sample boxes and you can claim them all! This post may contain affiliate links. Read the full disclosure. When Father’s Day (Sunday, June 17) rolls around, you want to do more for them. So to help you out, here are 12 great Father’s Day gifts that work for any guy on a budget from Nordtsrom, Space NK, Etsy and Amazon (over 1K reviews). Space NK Proraso Shaving Cream Sensitive Skin $10 This post may contain affiliate links. Read the full disclosure. Mother’s Day is Sunday, May 13. There are plenty of last-minute and incredibly thoughtful ideas out there she’s sure to love this Mother’s Day from Nordstrom and Amazon! This post is for general gifts, not beauty 🙂 Today only, Restaurant.com is having a Flash Sale and offering up their $25 certificates for ONLY $2 each when you use promo code TWO at checkout. This post may contain affiliate links. Read the full disclosure. Amazon announced on 4/26 that it would increase the price of its Amazon Prime subscription from $99 per year to $119 per year. The change goes into effect on May 11, 2018 for new customers and June 16 for those who already subscribe to Amazon Prime. This post may contain affiliate links. Read the full disclosure.